New Mexico Golf News keeps an eye out for golf discounts and promotions of interest to golf travelers. With cooler weather coming, here are some of the steals and deals in places you might want to check out when the frost delays begin at home. If you’re an avid golf traveler yearning for some warm-weather golf this winter, Troon Golf has expanded the number of courses in its frequent player program that offers sizeable golf discounts at Troon's impressive lineup of properties. The 2019 Troon Card frequent player program – available as TwoSome Cards and FourSome Cards in specific states and regions of the country – can offer golf discounts of as much as 50 percent. 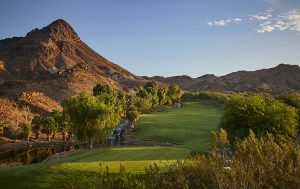 Cascata Golf Club, Boulder City, Nev.
New courses added under the 2019 Troon Card program include: Cascata and Rio Secco Golf Clubs in the Las Vegas area, Thanksgiving Point Golf Club near Salt Lake City, Laughlin Ranch Golf Club in Bullhead City, Ariz. and Château Élan Golf Club north of Atlanta. For golfers headed to Hawaii, a new Hawaii Troon Card can be used for golf discounts at the islands’ top courses, including: Kapalua Golf and Kahili Golf Course on Maui, Princeville Makai Golf Course on Kauai and Mauna Lani Resort on the island of Hawaii. Other state and region-specific Troon Cards now available include: Alabama, Arizona, California, Central U.S., Florida, Georgia, Kansas/Missouri, New York, Northeast U.S., North Carolina, Ohio, Southeast U.S., Tucson and Utah. There’s also a National Troon Card that offers cardholders preferred rates at all participating Troon facilities, including properties across the continental United States, Hawaii, and at its international facilities. The national TwoSome Card goes for $509. The national FourSome card goes for $849. While that sounds steep, discounts of up to 50 percent on rack rates that range can range from $295 (Princeville Makai Golf Club) to $399 (Cascata Golf Club) means the card pays for itself quickly. 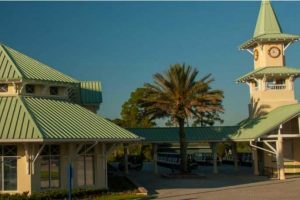 The cards also offer a one-time 2-for-1 deal at each participating course, 10 percent off on food and merchandise and 25 percent off club rental fees. 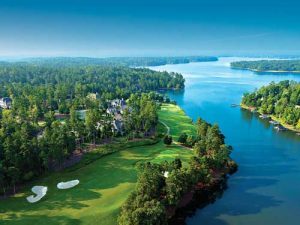 Reynolds Lake Oconee in Greensboro, Ga., about 90 minutes east of Atlanta, wants you to know about its “Ultimate Golf Experience Package,” which offers unlimited all-day play with no additional fees on its four golf courses, plus luxury accommodations and an array of resort amenities. The Landing: The first golf course built on Lake Oconee features holes that wind through wooded areas and rolling hills. The National: Dramatic lakefront topography, featuring hardwoods, pines, and wild dogwoods that shape the character of the course. The Oconee: Lake Oconee comes into play on nine holes, including the final three, with numerous risk/reward options along the way. The Preserve: A natural, rolling layout over a manageable 6,700 yards, with subtle undulations and elevation changes. The Landing Cottages: Woodland, golf and or lake views surround The Village at The Landing, an activities’ commune that includes bocce ball and tennis courts, as well as an open-area playground, all adjacent to an award-winning clubhouse and golf shop. The Village at Lake Club Pointe condos offer golf, lake and woodland views. These fully-equipped residences are located near The Ritz-Carlton Hotel, The Lake Club Marina, and tennis center, and provide easy access to miles of walking trails and gracious outdoor living spaces from which to take in the beautiful views. The luxurious four-bedroom, four-bath National Club Cottages are a short walk from the National golf shop and The National Tavern, a pub and restaurant popular with members and guests. The Ultimate Golf Experience Package includes carts, forecaddies, free use of practice facilities, breakfast, free wifi and daily housekeeping. Pricing starts at $399 per person per night based on peak and non-peak golf season rates. Best of all, the Ultimate Golf Experience Package is available year-round. For more, visit Reynolds Lake Oconee or call (800) 901-1204. 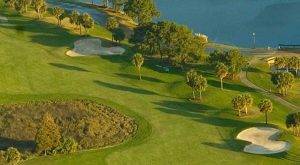 The Sea Pines Resort at Hilton Head, S.C., offers golf discounts through its Getaway Package now through March 1, 2019. Available starting Oct. 22, the resort’s Fall and Winter Golf Passport includes up to one tee time per day on Atlantic Dunes or Heron Point. The two-player, four-day passport costs just $349. Harbour Town Golf Links can be added to the package for an additional $140 per guest per round. The getaway package starts as low as $136 per night for a minimum of four nights in a two-bedroom deluxe villa in the Plantation Club. The getaway package is valid for weekly or nightly stays (with a 4-night minimum). For more information, visit Sea Pines Resort or call (866) 561-8802 (promo code GETAWAY). 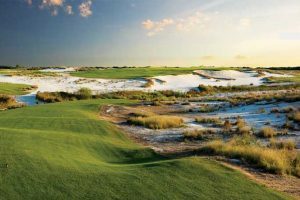 The Sandestin Resort along the Gulf of Mexico near the Florida Panhandle town of Miramar, is offering its Resort Classic Golf Package golf discounts starting at $132 this fall and $104 this winter. 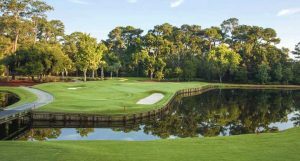 The package offers play on two of Sandestin's courses, the Links Golf Club, which has five holes on the Choctawhatchee Bay, and the Baytowne Golf Club, which straddles both the bay and gulf side of the resort. 2 nights of deluxe accommodations in a Bayside three-bedroom villa. Ability to add additional golf if requested – please call (800) 622-1038. Book online or call a Sandestin golf specialist at (855) 342-3599. Mention group code SDGOLF. 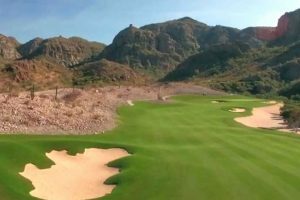 In Scottsdale: Troon North Golf Club’s Pinnacle Course reopened in early October following a four-month enhancement project.The Pinnacle Course is one of two 18-hole Tom Weiskopf-designed golf courses at Troon North. The Monument Course underwent a similar renovation during the summer of 2017. In Scottsdale: The Phoenician Golf Club, part of Marriott's Phoenician Resort tucked up again the southeast slope of Camelback Mountain, reopens Nov. 1 after a months-long closure to convert it from a mishmash of 27 so-so holes to a creditable 18 holes. The 585-room hotel built in 1988 also got a makeover. The course was redesigned by Phil Smith. A check of its online reservation engine for dates in November shows tee times going for $189. In Phoenix: Renovations at Papago Golf Course are now being completed, with finish work on an expanded practice facility all that remains. The Phoenix municipal course by William F. Bell was renovated several years ago to restore it to its original condition and remedy years of neglect. The old clubhouse was torn down and a new one just went up. Papago is the new home of the Arizona State University Sun Devils Golf Team. The course also has a new entrance road off McDowell Road, and it is one of the closest to Phoenix's Sky Harbor Airport. The fall weekday rate for out-of-towners is $90 and the winter rate for weekends is $106.